﻿Dowels are straight sticks made from rolled paper, plastic, or wood, that are (usually) vertically pushed into a cake in order to support the weight of the above layers. How many dowels you use, and where to place them within your cake depends on a number of factors: how many layers your cake is going to be, how large (diameter/square inches) the layers are, and how heavy each layer is once the fondant and decoration has been added. ﻿Doweling prevents your cake from allowing gravity to have its wicked way. Two VERY BAD things can happen to undoweled cakes (if they even manage to make it to their destination unscathed): either your unsupported layers will slide off one another (see left) and fall onto the table — if you’re *really* unlucky they’ll hit the floor – or the weight of each unsupported layer weakens the structural integrity of the cake as a whole (see right), and squashes the cake layers beneath due to excessive weight. And then it falls to the floor. Guess who’s paying the costs for THAT cake? Hint: it’s not the client! What is the best doweling material? Which dowels to use is largely a matter of preference; every professional cake baker/decorator has their favourites. WOOD: Old-school decorators usually advocate wooden dowels, as they are very strong, relatively thin, can be sharpened into a wicked point on one end for better driving (like a stake) through the centre of tall cakes (had that tall wedding cake in the pic above had a stake through its little cakey heart, it would probably have never hit the ground). The downsides: wooden dowels are getting harder and harder to find as cake designers move to alternate doweling options, and in response their cost is rising. Pro-TIP: whatever you do, DO NOT buy wooden dowels from a hardware store or a discount/dollar store that are not SPECIFICALLY LABELLED as food-safe. Many wood dowels are used for non-food crafting, and may have been coated with a potentially-toxic pest retardant or otherwise handled in a non-food-safe manner. Also, don’t whittle one end of your dowel. Go out and purchase a cheap pencil sharpener and sharpen them that way. 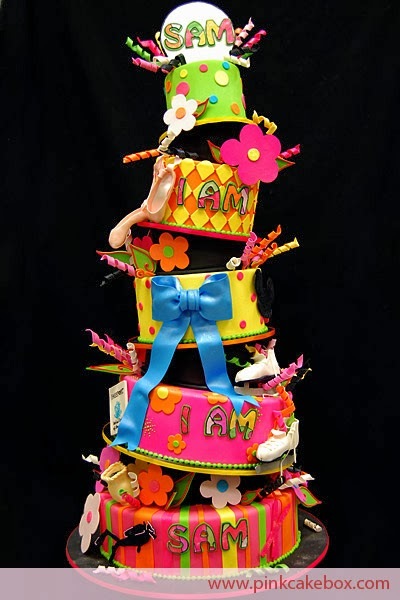 PLASTIC: Other more contemporary cake designers use hollow plastic tubes; depending on the style of your cake, these can be extremely strong, yet take up very little cake “real estate” so the client still gets all the cake that they paid for. Plastic dowels are good for cakes that have a lot of surface space you can utilize to support your structure, and they are also very light for their strength so they don’t add much weight to the overall cake. Cheaper alternatives include the bubble tea straws, though I have never used them myself. The downsides: they can be quite expensive (with the one exception), can’t be sharpened to a point to drive through multiple layers, and, depending on their shape, are not usually as strong as wooden dowels. ROLLED PAPER: Also known as “lollipop sticks”, these economical dowels can be used on average sized multi-layer cakes, and are narrow enough in circumference that they can usually be easily inserted anywhere more structure is needed in a cake. They’re also a breeze to cut to the proper length (most times you can just notch where you want them to break, then just bend them to break them), and due to their thinness they don’t have to be sharpened. The downsides: the longest paper sticks available today are still only lollipop-length, and so aren’t long enough to be driven in one piece through a multi-layer cake from top to bottom. They are also not meant to be used exclusively for extremely heavy cakes, or those with large, multiple layers (like a big wedding cake). Hands down, using cheap plastic straws, like the ones you would get from a fast-food place, is the WORST idea ever (I would make the one exception for bubble tea straws, as noted above, which are surprisingly strong for their shape and size). I understand and respect the need to reduce costs when making cakes for commissions; you might even have gotten away with it a few times in the past with no bad effects…but TRUST ME, this is NOT where to cut corners. I’ve heard too many stories from my contemporaries and professors about beautiful cakes made for fabulous occasions that never made it to the event due to cheaping out on the doweling. To me, it’s like building a beautiful house, yet making the basement out of sand. Sure it looks nice for a while, but as soon as that first earthquake hits, BOOM all that work is destroyed in an instant. How do I dowel my cake? where the above cake will sit. 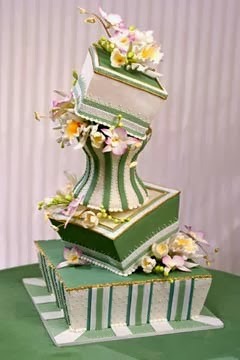 Seriously, though, for simple 2, 3 or 4 tier cakes, as long as you are a) placing your dowels within the space that will be covered by the cake above (see pic to the left); b) they are equidistant to one another; c) you are using a cakeboard, plate/platter, or a thin cake card on the bottoms of each cake above the base cake; and d) they are cut to be flush, or even slightly below the cake’s height, then you’re good to go. For larger, taller cakes, the best guide to maintaining stability is to ensure you have a central, 90 degree vertical angle that runs from the top of your cake to the bottom, where you will *gently! * pound a sharpened long dowel from the top through each cake and cake card right to the bottom cake. You need to measure the height of your assembled cake, choose a dowel of the appropriate height and style (see above for descriptions of various dowels), and cut accordingly. After that, take another dowel, hold it on top of the one in the cake and hit it with a small hammer to make sure that the one in the cake is down all the way through the tiers. No, don’t just shove it in with your finger and hope for the best. I’d also suggest that you mention to the client that when they cut the cake there will be dowels present, and to please just have them quietly removed after the cake cutting. You never can tell; you don’t want to choke a greedy kid, do you? A lovely five-layer cake. Perfect. 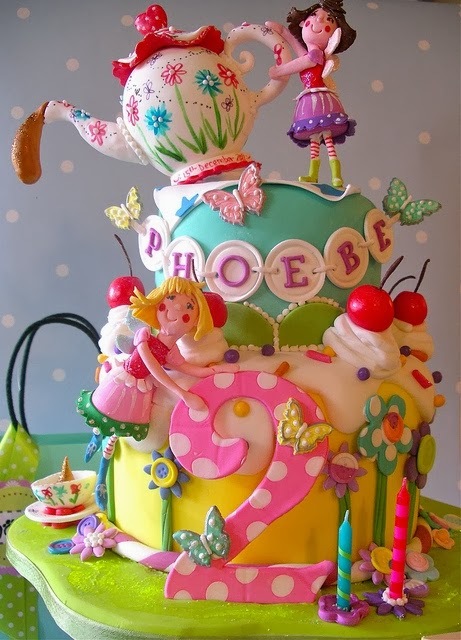 One of my favourite cakes from Pinterest! ﻿So now you know everything there is to know about doweling cakes, or at least all that *I* know! Good luck to you in your next doweling adventure, and remember: be confident but be careful, and things will go well. Don’t forget to take lots of pictures of your little beauties!